We have arrived in the UK! We have moved into our house but we don't have many of our things and it will be a while before we are feeling settled and find our rhythm. In the meantime, I want to share with you some UK Montessori home resources that we have been enjoying. 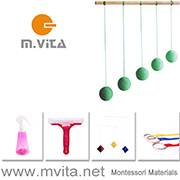 Absorbent Minds Montessori - lots of school and Montessori materials, infant and toddler materials puzzles and such, lots of practical life materials. Love their British Butterfly, Tree, Wildflower and Bird Puzzles. I've ordered these 2, 3 and 4 piece animal, hand-cut wooden puzzles for when Otto is a little older. Bunny + Bella - lots of infant materials including mobiles and grasping toys. Montessori Design by Nuccia - so many materials and furniture items for toddlers to preschoolers, one of the only UK places I've found to source a Topponcino. Montessori Enterprises - for Montessori language including early learning materials. 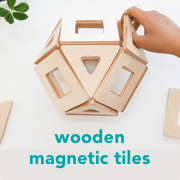 Myriad Natural Toys and Crafts - many toys and crafts compatible with a Montessori home learning environment. Babi pur - another toy store with a few practical life materials, flower press, clothesline, and natural blocks and things. Montessori Society AMI (UK) - for a good range of Montessori books. Montessori St Nicolas - Montessori books including Learning Together - What Montessori can offer your family, a book for parents published by the Montessori St Nicolas charity. Amazon - great for toys such as Schleich animals, Montessori books and practical life materials. Lisheen Montessori - mainly Montessori school supplies but there are a few unique products suitable for the home too, based in Ireland but worth including. I love some of their handmade large knob puzzles for little ones. Montessori Family - published by Carine, a Montessori guide. My Montessori UK - homeschooling blog for 3-6 years. Frida By Mighty - I love this site and link to it all the time, lots of activity and home environment ideas for toddlers to preschoolers. Fred Ted and Company - a Montessori parenting blog based in Northern Ireland. Show Me Montessori - not currently published. Help Me To Help Myself - written by Nicole, from the UK but currently in Japan, her cold weather clothing posts are certainly useful for those in the UK. Modern Montessori Mum - Instagram account with no blog, toddler-preschooler ideas, based in Cotswolds, UK. British Wildlife - a beautifully illustrated children's picture book. How to Draw British Wildlife - for ages 5-6yrs+. Wildlife of Britain: A Unique Photographic Guide to British Animals and Plants - a comprehensive guide, , for ages 6yrs+. Every home needs a good, local, field guide for plants or animals of interest. Obviously, I am new to the area so if there is a shop or blog I have missed, please tell me about it!